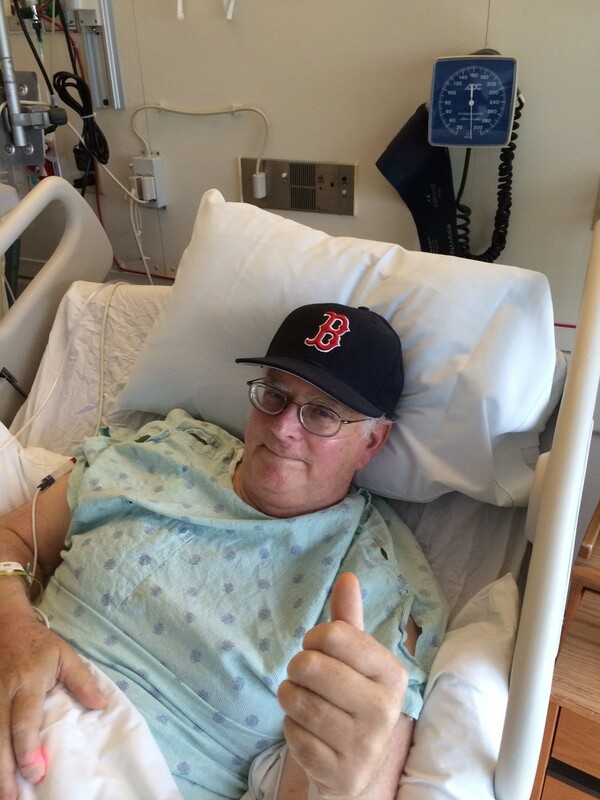 A month after Vermont Republican Party chairman Jack Lindley was hospitalized with a serious, unspecified illness, he's well on his way to recovery, according to a close friend and party official. "He's doing great. It's just a spectacular recovery. He's not ready to run any under-four-minute miles, but it's really wonderful," says party treasurer Mark Snelling, who visited Lindley (pictured at right) Wednesday at Dartmouth Hitchcock Medical Center. "It's just unbelievable." Lindley's family and party officials have declined to discuss the nature of his illness since he was admitted to DHMC's intensive care unit last month, but Snelling says he expects the chairman to make a full recovery. Lindley's doing so well, Snelling says, he's hoping to attend the Vermont GOP's state convention next month, when he'll be up for reelection. "I know he hasn't decided whether he's going to run for chair or not, but I know he's considering running," Snelling says. "He's having talks with his family. The recovery is occurring at a rate faster than anyone would've expected." Prior to Lindley's illness, several party members were considering challenging him, though most have stayed quiet as the incumbent has recovered. One, however, announced Wednesday that he plans to run for the post at the party's November 9 meeting. 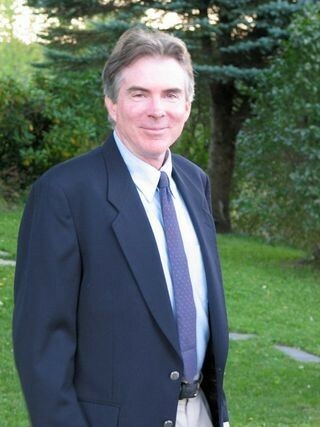 Windsor Republican John MacGovern, who unsuccessfully challenged Sen. Bernie Sanders (I-Vt.) last year, emailed friends and supporters to say he would seek the party chairmanship because, he wrote, "We need a new approach." "I believe we need a leader who can work with the grassroots to turn out voters and connect with Vermont's youth," MacGovern told his fellow Republicans. "We can grow as a party and become stronger as a state if we can find new ways to reach out to voters and communicate our message." A former member of the Massachusetts House of Representatives, MacGovern has had considerably less luck running for office in Vermont. He lost races for the Vermont Senate in 2004 and 2006, and he lost his long-shot bid against Sanders by a vote of 71 to 25 percent. As of June 30, according to a Federal Election Commission filing, MacGovern's campaign account remained $31,500 in debt — owing to his race against the well-funded Sanders. In a September email to supporters, the ex-candidate said he hoped to raise nearly $5000 to help retire his debt. MacGovern's October campaign finance filing was not available on the FEC's website on Wednesday, possibly due to delays stemming from the recent government shutdown. In the email announcing his candidacy, MacGovern argued that his electoral losses were, in fact, a strength. "We need a Chair who understands what it takes to roll up your sleeves and do the hard work, to get out in the trenches and become a candidate for the first time," he wrote. "We need a Chair who knows both victory and defeat and what it takes to overcome initial defeats and to come back to run for a second and third time. My role as a candidate has given me these insights." MacGovern did not return calls seeking comment Wednesday. Thus far, no other candidates for the GOP chairmanship have emerged. One party activist who told Seven Days last month he was considering running, Chittenden County Republican Party chairman Jeff Bartley, has since said he will not run. MacGovern's not the only one throwing his hat in the ring. David Sunderland, a former member of the Vermont House, said Thursday he too will run for the party's chairmanship next month. And he's already drawn the support of the state's top elected Republican, Lt. Gov. Phil Scott, who's been seeking an alternative to Lindley. "I think the party needs to be headed in a new direction and build a consensus that can work towards recruiting and running candidates who can move our state forward," Sunderland said Thursday morning. "I think there's a lot of opportunity to appeal to a broad base of Vermonters and, in a respectful way, oppose some of the things that are happening in Montpelier right now." Sunderland, a 48-year-old engineer at Green Mountain Coffee Roasters, spent five years in the Vermont House after being appointed to a Rutland Town seat by former governor Jim Douglas in 2003. He says that while he doesn't have "any personal issues" with Lindley, "The issue is that we need a new direction." Backing Sunderland are members of a more moderate faction of the party, including Scott and Rep. Heidi Scheurmann (R-Stowe), who have been beating the bushes looking for a candidate since last winter. "I think he's got the skill and the demeanor to pull people together," Scott says. "I think he's respected by a lot of people within the party. It's like his engineering background, the way he conducts himself. It's more structural. And he's a team builder." According to Scott, the timing of the contest is "unfortunate," given Lindley's illness, but he says it's important to continue revamping the party. "Obviously we hope the best for Jack. I have a lot of respect for him," Scott says. "I have said, since long before his becoming ill, I just think we need a change in chemistry. I think we need a change in leadership." Photo of Lindley courtesy of Snelling. Photo of MacGovern from his 2012 campaign website.